Iranian President Hassan Rouhani voiced Tehran’s willingness to further boost its cooperation with Iceland in economic fields, renewable energy and new technologies in particular. Speaking at a meeting with Iceland’s newly Accredited Ambassador Hermann Örn Ingólfsson, Rouhani said an exchange of delegations and cooperation between private sectors of the two countries would play an active role in the development of the two countries’ ties. “Tehran welcomes expanding and deepening relations with Iceland in economic fields, modern technologies and renewable energies,” he reiterated. 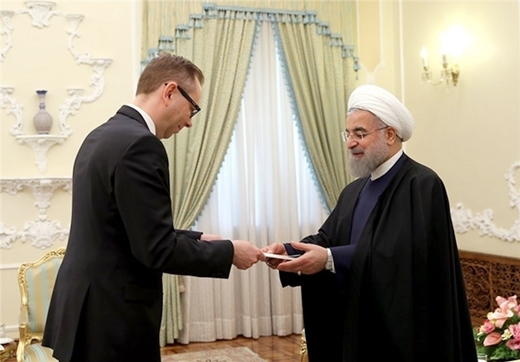 Also at the meeting, Örn Ingólfsson, who submitted his credentials to President Rouhani, asked for expanded relations between Iran and the European Union. He said that the two countries could cooperate in the fields of clean and renewable energies.